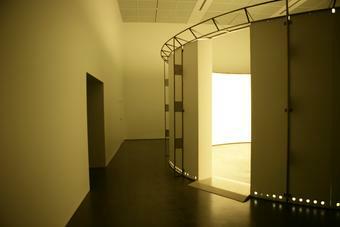 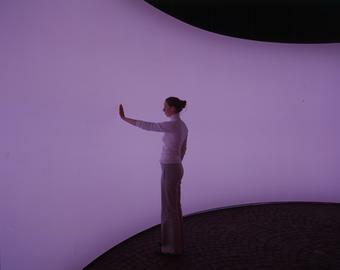 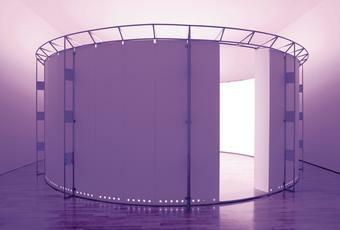 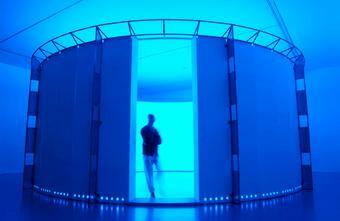 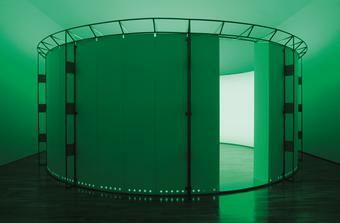 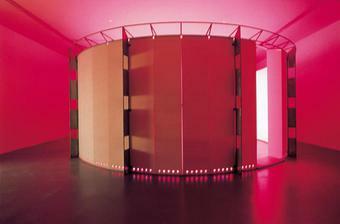 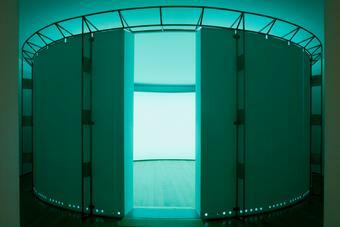 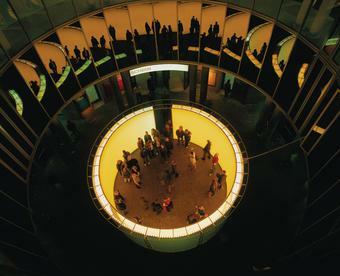 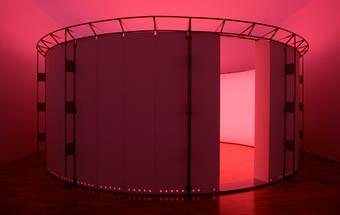 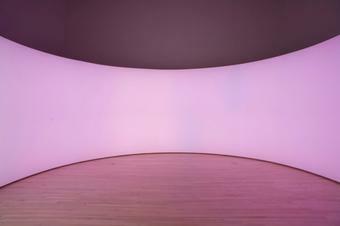 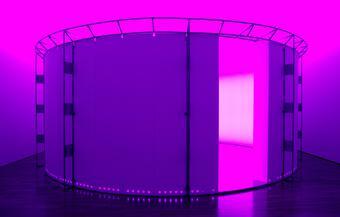 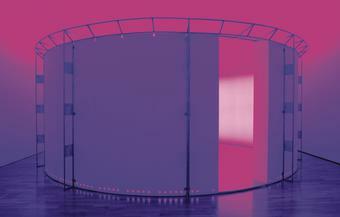 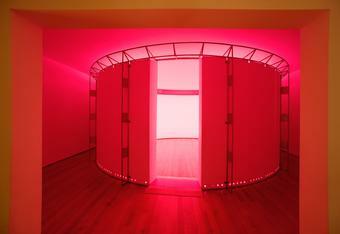 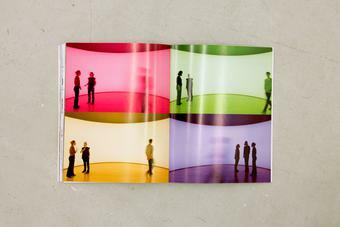 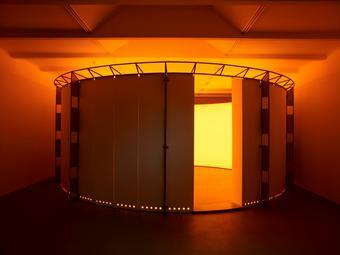 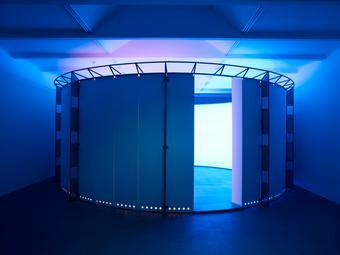 Similar in concept to Room for all colours, 1999, this installation consists of a circular space that surrounds visitors with slowly changing colours. 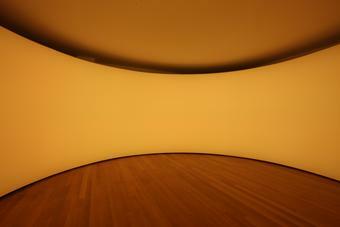 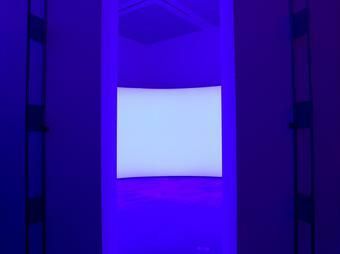 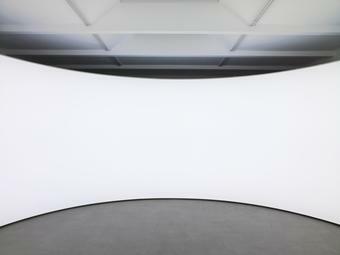 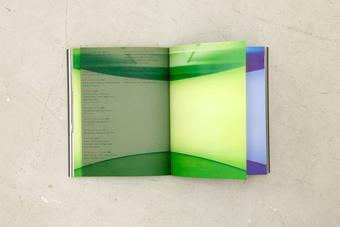 The source of the colours, a matrix of fluorescent red, blue, and green lights, is concealed behind a projection screen within the walls of the space. 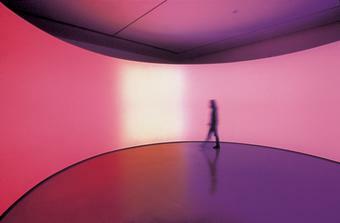 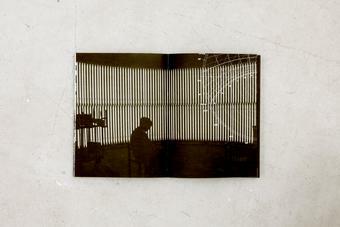 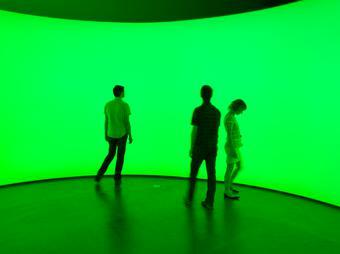 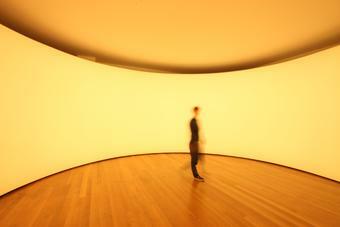 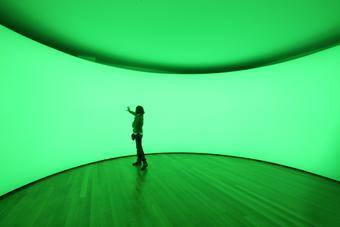 Through the afterimage effect, visitors perceive more colours than those actually emitted by the lights.